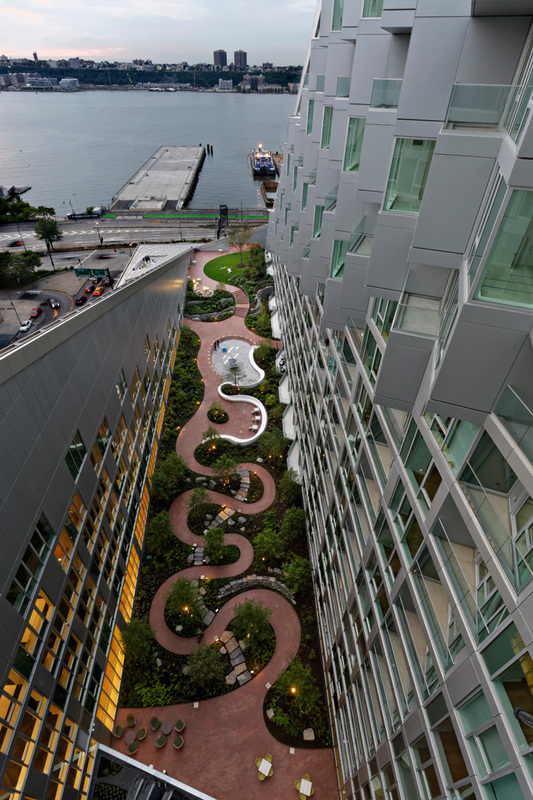 The jury of the International Highrise Award 2016 resolved unanimously: the residential highrise VIA 57 West in New York/USA has won the prize, worth EUR 50,000, for the world’s most innovative highrise. 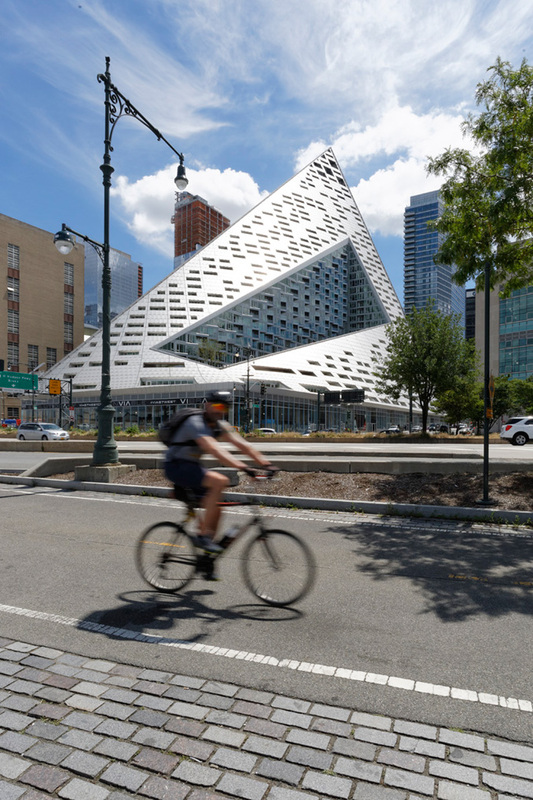 Architect Bjarke Ingels (BIG – Bjarke Ingels Group) and the client Douglas Durst (The Durst Organization) will receive the prize statuette and the prize money today at the awards ceremony in Frankfurt’s Paulskirche. 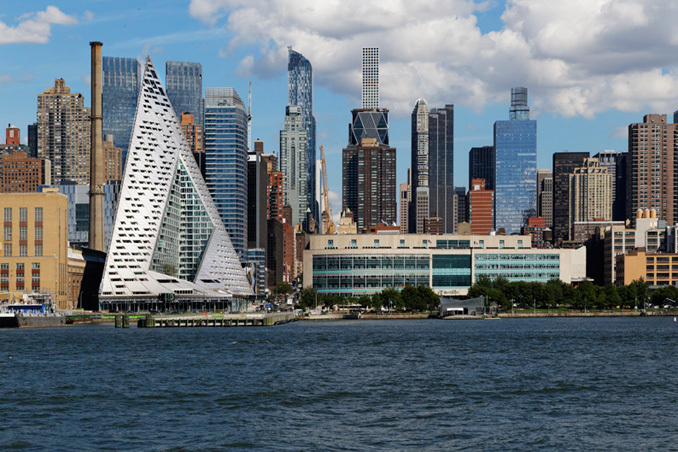 In the west the site is separated from the Hudson River by a multi-lane motorway, in the north stands a historical electricity plant, in the south there are the noises and smell of the newly built waste sorting centre, while a conventional, blue-glazed, 130-metre-high residential tower rises up in the east, whose view of the Hudson River may not be obstructed – these were the unattractive framework conditions in the very mixed district “Hell’s Kitchen”. 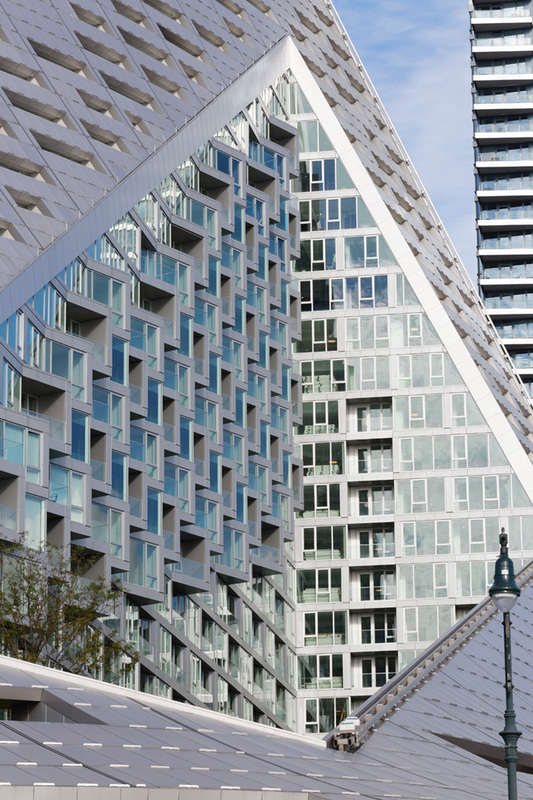 The architects responded to this with the innovative concept of a “courtscraper”. OPENING: November 3, 2016, 7 p.m.